Build support for the troops and distribute the Military Flyer before your gathering. 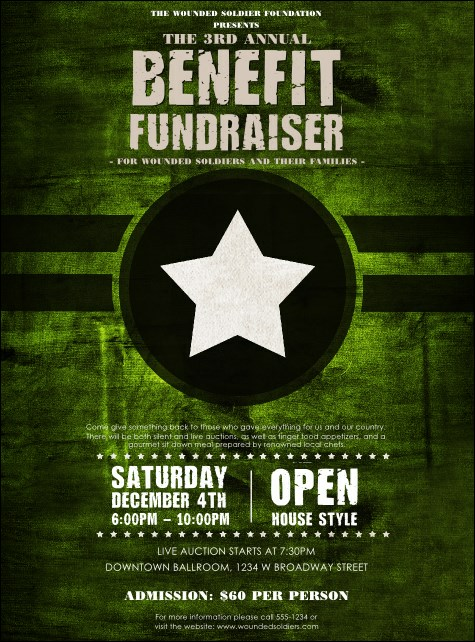 This stars and stripes design features bold green, black and white colors with plenty of room for event details. Use this template for fundraisers, dinners, or celebrations for those who serve.